A Quick Stroll Around Green Lake. B: "Wake up – Wake up! It&apos;s sunny! It&apos;s sunny!" T: "Ugh… it&apos;s 5:45am – go back to sleep." 15 minutes later, and Theresa caved in. We were up and about camp for an early start, and the skies were indeed blue. We ate a good breakfast, some nice hot coffee, packed up our bags for the last time and were on the trail by 7:30am. Last last 12 km – "a quick walk around green lake", right? One thing I have certainly learned in life is that things don&apos;t always work out the way you expect. And the conditions of this section of the trail were far from our expectations. We had a deadline today, but not too ominous of one. We needed to be at the trail head for 1pm – to catch the Trail Bus home. We were a day ahead of schedule and so hoped that there would be room as our reservation was for tomorrow. 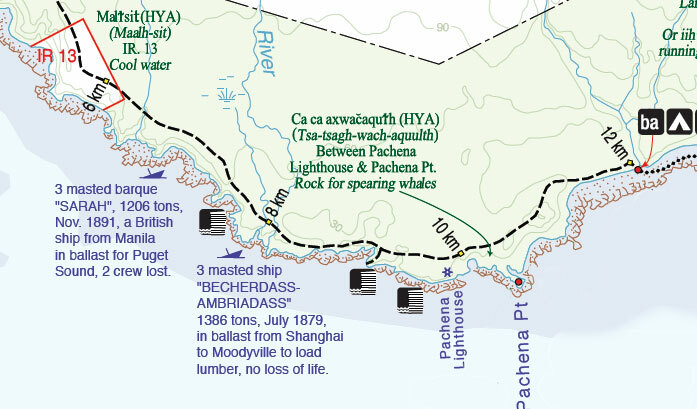 We figured it would take us at most – 3 hours to cover these quick 12 km – word on the street has it that the first 12 km to the lighthouse is a 3 meter-wide trail – or more of an old logging road. Leaving Michigan did not corroborate this story. It was yet more & and mud, roots & mud, more roots & mud. 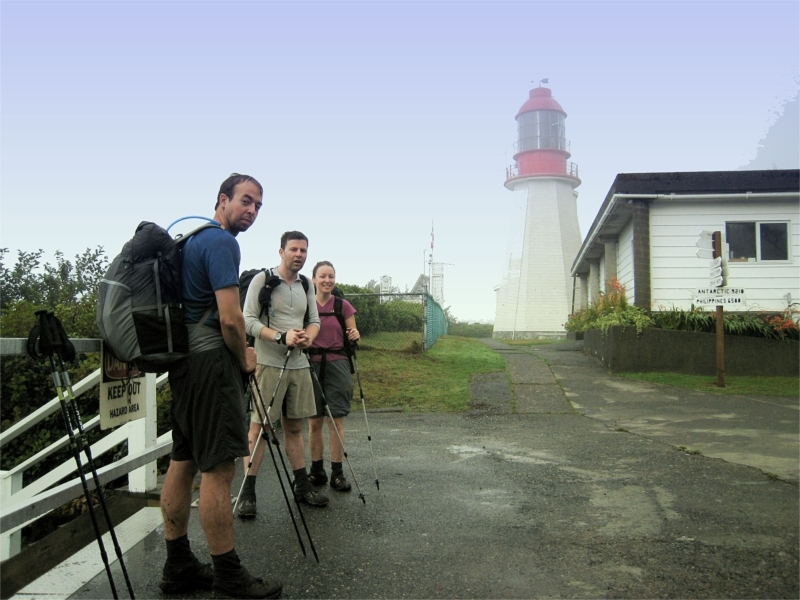 We made decent time though, and at around 8:20am arrived at Pachena Lighthouse. We took a quick stop here, and tried to be as quiet as field mice. It was, after all, 8am in the morning, and if the lighthouse keepers had any sense – they would be tucked up in bed. The trail between the lighthouse and the trail head was especially uneventful. It flattened out in sections into decent trail, but was surprisingly difficult still for its description. One nice thing about going S->N is that the kilometer markers are counting down to zero – which made for a fun reminder as we hiked. Although uneventful, the forest through this section was very pretty. There was a lot fog hanging in the trees and we could hear growling bears between them. Oh wait – no – that&apos;s the sea lions on the beach growling- never mind. One-by-one, we counted down the bridges. We also passed four or five groups on the way out – and we thought that *we* had an early start!! At around 11:10am, we arrived at the trail head. Jubilant for our successful journey and hopeful that there would be room on the bus. There was a pay phone at the office at the end, and we called trail bus. Bad news – there was no room. We huddled down and made some coffee and tried to figure out a game plan. Tip: When your titanium cook pot has a glowing-red handle, don&apos;t pick it up with the sleeve of your polypropylene (recycled plastic) shirt. It hurts and makes quite a molten mess. Around noon, the bus driver showed up – we asked if he had room – and he said he would squeeze us in. Jackpot! 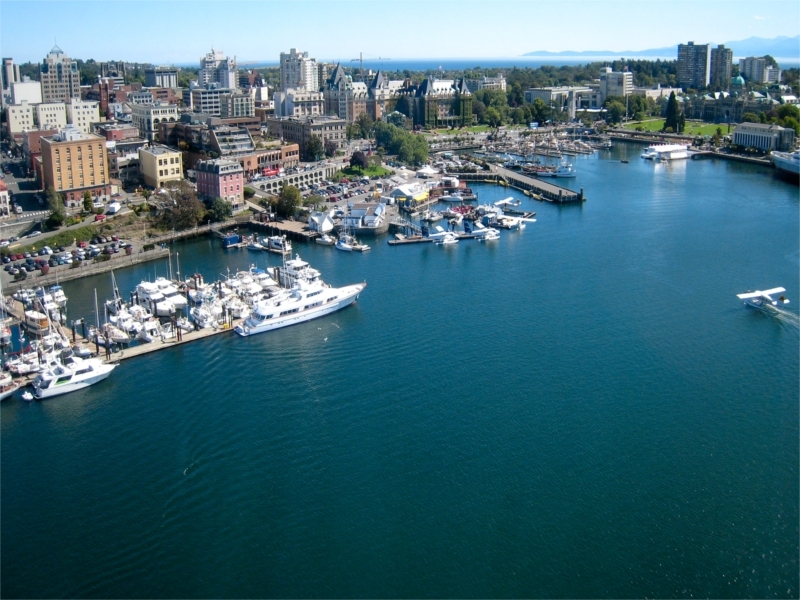 Back to Victoria we go. Another group of four also were out early and he managed to squeeze all eight of us in and get us all the way back to Victoria. It was a long bus ride home – over six hours. We hopped off the truck and made our way back to the QV hotel. Cleaned up and headed over to Rics for a big juicy steak. 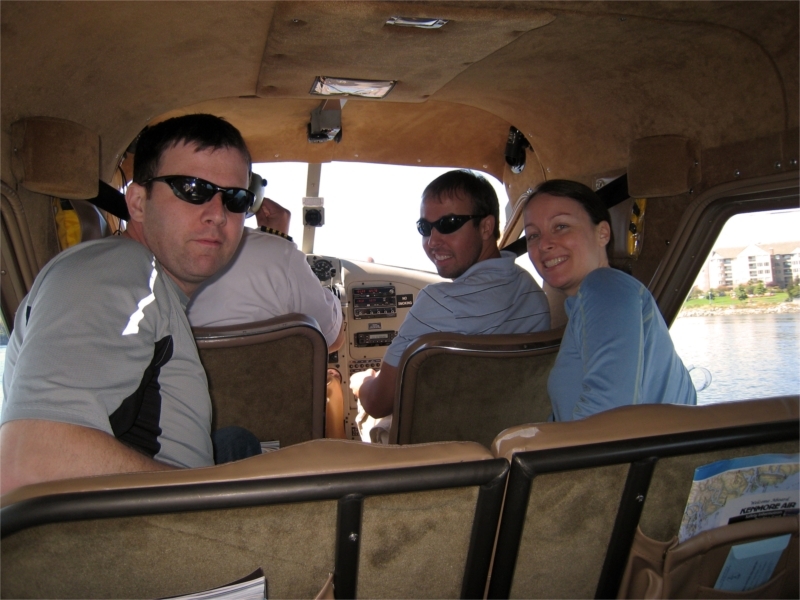 The next day, we had a hard time changing our float-plane reservation to Seattle – as most of the early planes were grounded due to fog. However, the fog lifted and the folks at Kenmore Air went above and beyond and sent a plane out just for us. In a little over 45 minutes – we were back in Seattle with a whole new set of life experiences and great memories to tuck away. 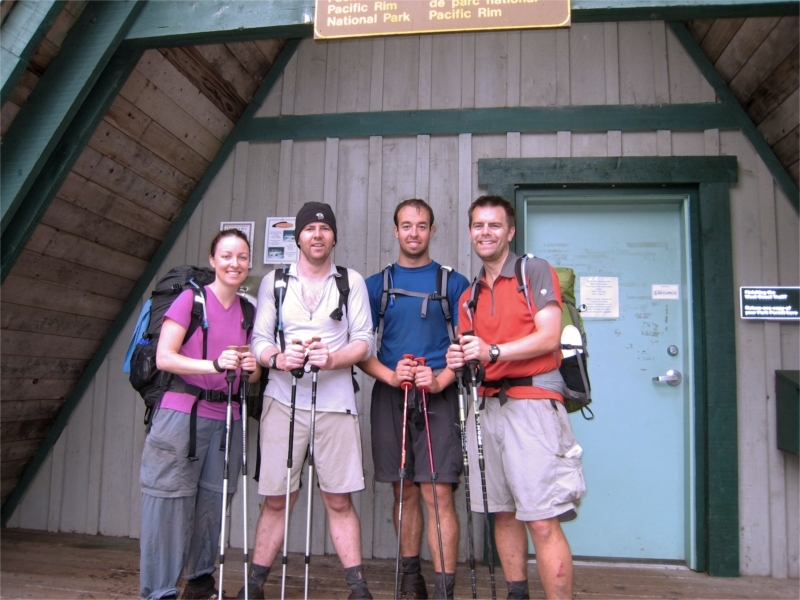 This entry was posted in Backpacking, Trip Reports, West Coast Trail on October 21, 2007 by brett. The pack photo should probably be sent to GoLite for use in a promo campaign! That was such a great read- took up over an hour of my day and I blame you for that. 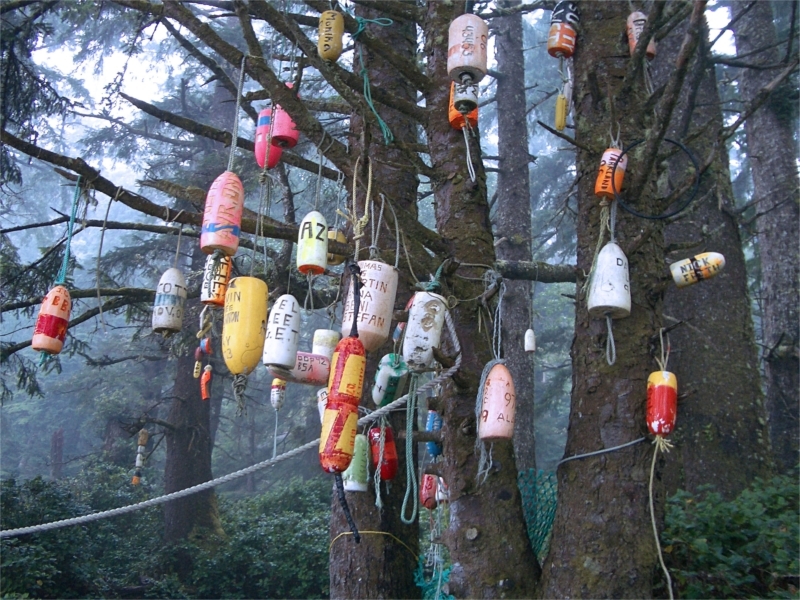 I’m doing the west coast trail before. Last year was the sentiers de l’estrie in quebec. I keep thinking that it’ll be a breeze compared. 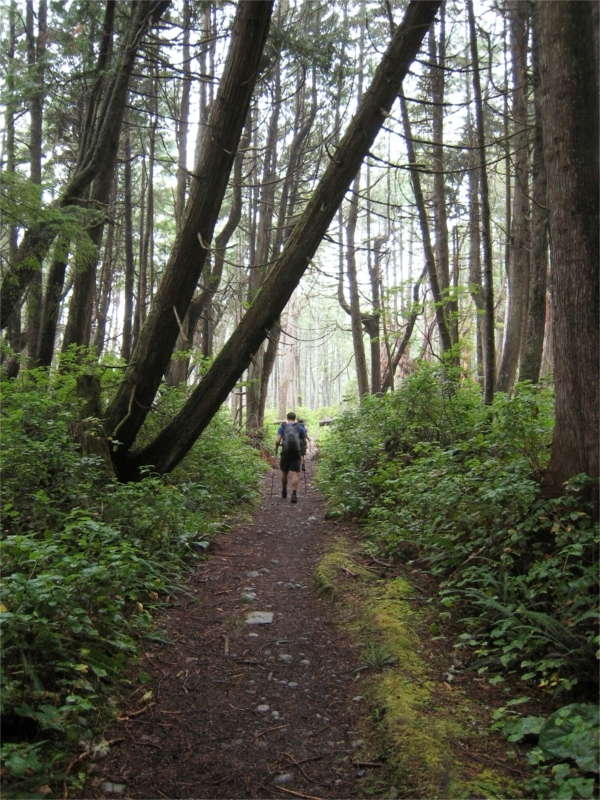 I hear the west coast trail, although not as long, is much more beautiful and a life-changing experience. And MUCH harder depending on the weather! Thanks for sharing! riley – glad you enjoyed it. best of luck on the trail – let me know how it goes for you. Wow…I thouroghly enjoyed the read, great pictures as well. I did the WCT 4 years ago, and brought back some great (and not so great) memories. You have inspired me to do it again, this year leaving June 26th! This time from south to north, rather than north to south. Cheers! Really enjoyed reading about your adventure – great read! I’m doing the WCT in 20 days, really looking forward to the journey! Thanks for sharing yours…. wendy – no worries. hope you have an awesome trip! Hey! That was an amazing read! This past may I hiked the Grand Canyon ( 30 km) 10,000 feet .. 12 hours. Rim River Rim, with some of my University Classmates ( we were on a geography field school), It was brutal work, But amazing.. Anyway, Today, one of my friends from that class, and my cousin, and I were driving home from diving in waterton.. and we decided next summer its the West Coast Trail. Quite nervous already! I am quite interested in this golite situation, seeing as we are all girls, not weak by any means, but still not terribly excited to be backing 60 pounds 75 km.. What would you suggest the essential light “equipment?” should we get. In other words, what stuff packed , would you suggest on spending the extra dollar to ensure its weight. Good question! First of all – I’d check out my gear list page for some ideas and discussion in the comments. But generally – start by weighing everything and decide what you really need, try and purge as much as you are comfortable with to begin. Then start working on the heavy things – usually sleeping bag, tent, sleeping pad, kitchen stuff and backpack. Also – don’t jump into this feet-first on the WCT. As you slim down your pack weight – make sure you do some shorter trips to get comfortable with the reduction in gear. You’ll find it truly liberating when you do get there. Thanks for the knowledge, Brett! I was looking to do the trail in 7 days, but now you have me wondering about a shorter route. Were you guys pretty happy with the umbrellas? I tempted to ditch my Marmot Precips and try an umbrella for my upcoming WCT hike. Any insight that you can provide would be appreciated. loved them on the WCT. however having a very light rain shell in camp was nice also. i wouldn’t recommend you make the WCT your first trip with JUST an umbrella… always good to take tried-and-true gear on the WCT; but if you get a chance before it – i would try one out and see how you like it. some people love, some people hate. if you can take the extra (5oz) in weight, i’d definitely bring one in addition to your normal raingear – you’ll be pleasantly surprised. Great pictures and Great read! Going to do the WCT Aug 23rd for the first time with my boy. What type/model camera did you use to take such Great pictures? Loved your thorough diary of the WCT! I am planning to go once I have trained up and it was nice to have such vivid descriptions. Your site has been our guidebook to prepare for the WCT which we did July 2013. It was very wet and very though, mud up to our knees on many days and the bears came a bit to close for comfort but your ultralight backpacking list was great ! 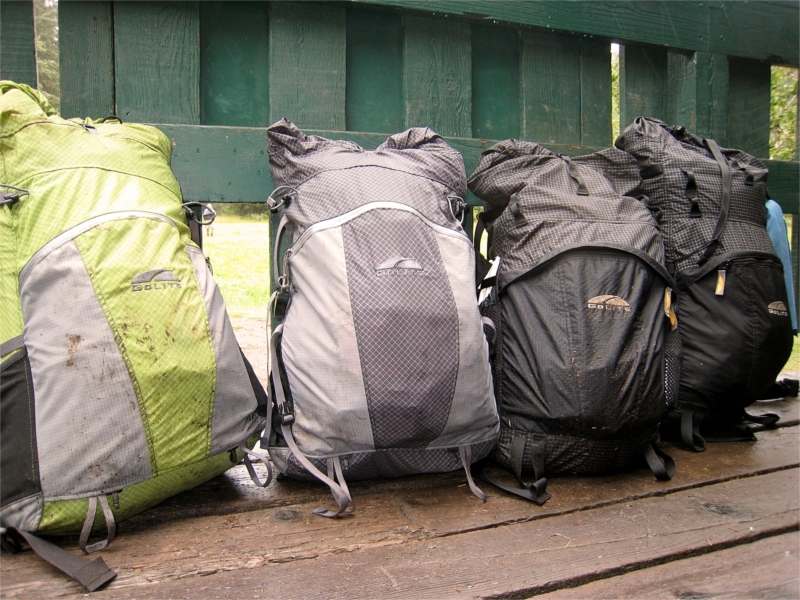 We met lots of people with the classic 80liters backpacks with 20 or more kilos on their back. With the ultralight setup we managed to cut our pack down to 11kilos including food for 6 days ! We’re now orientating on the coast to coast hike in Scotland or one of the hikes in New Zealand. The second time was with my boyfriend in 1986, he had no idea how difficult it was going to be and wrongly assumed it couldn’t be that bad since I had done it myself. He whined and cried for the first 2 days… eventually the sun came out and our packs lightened so he changed his attitude. The third time was 1989 with my three kids, Chris 12, Jeremy 10 and Alisha 8. It was the most memorable of family vacations, ever. I know the trail has been ‘upgraded’ over the years…. new ladders, hand railings, bridges, walkways, outhouses, etc… but it’s still one of the most beautiful and magical places on earth. Thanks for sharing your story. I am inspired to have another go at it. Perhaps next time with one of my grandkids?